As part of the new venue, we designed a fully equipped commercial kitchen, and allowed for ample indoor and outdoor dining, alongside the new gaming/sports lounge, and public amenities. On the outdoor terrace, the protected Melaleuca trees overhead provide valuable shade and dappled light through the translucent roofing. 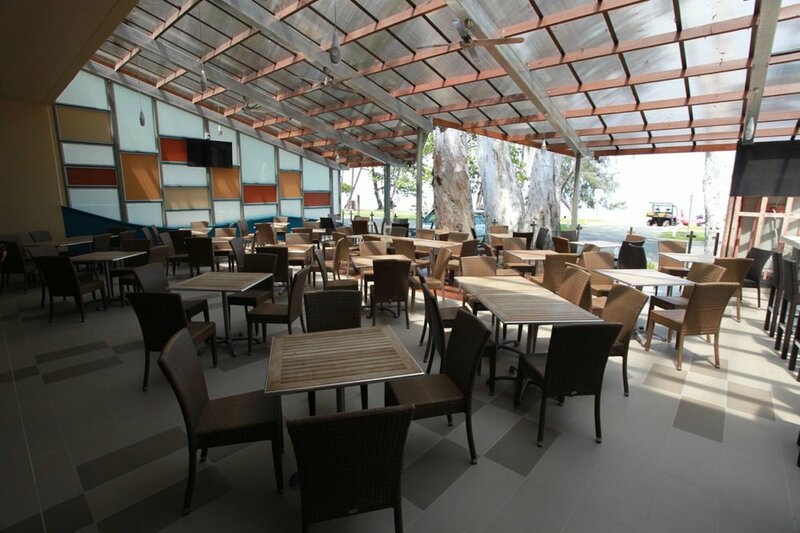 The outdoor dining space encourages connectivity between guests of the club and the esplanade.